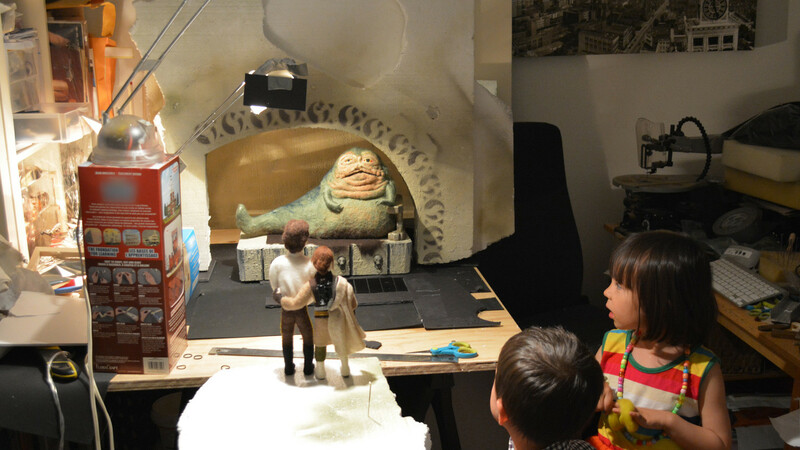 Go behind the scenes of the Force-meets-felt book series! 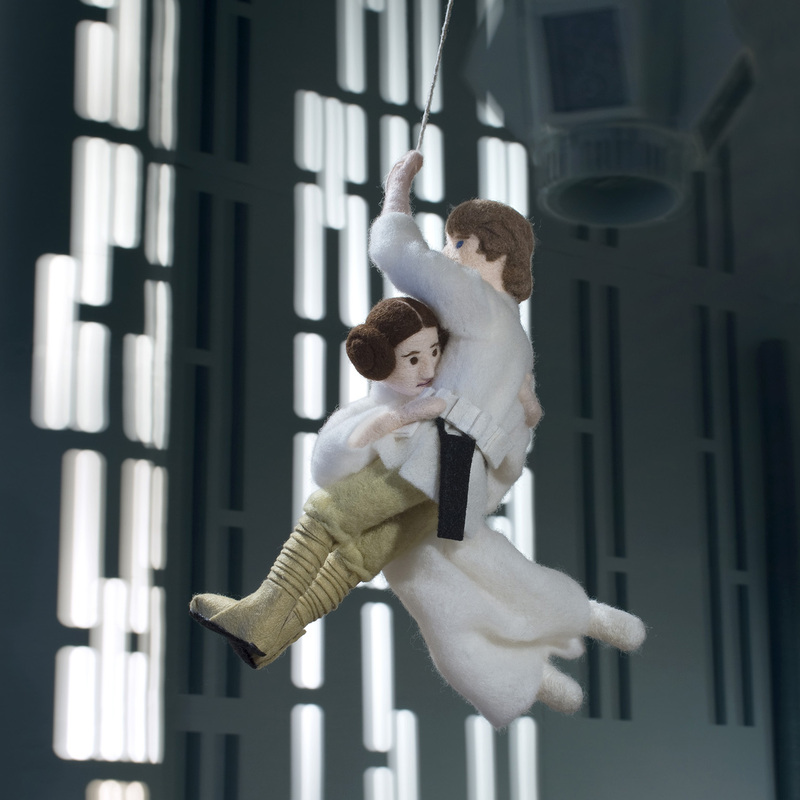 Star Wars Epic Yarns was a labor of love. 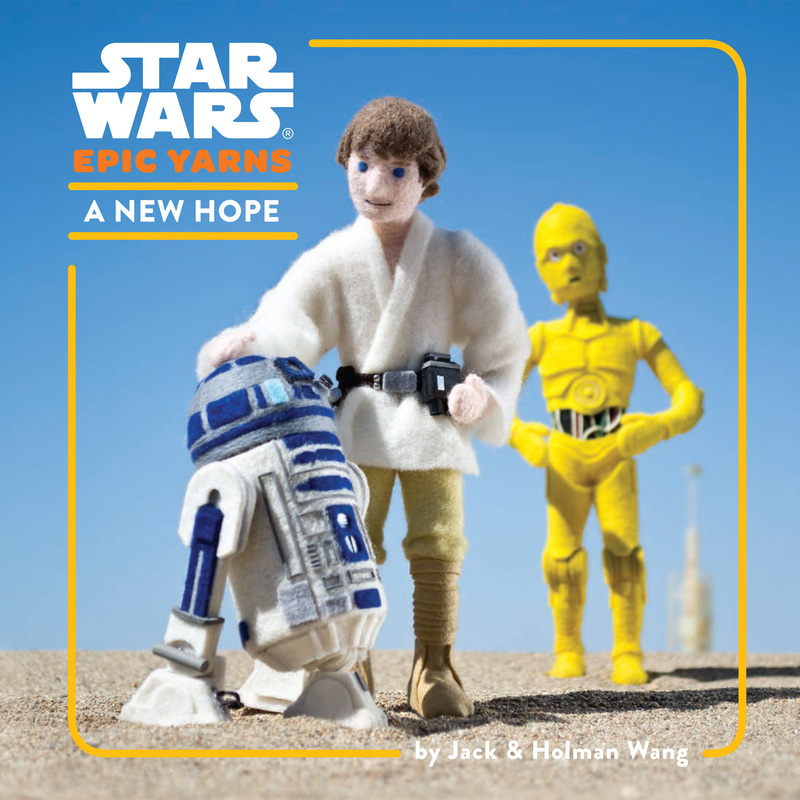 We were thrilled and honored to create this new board book series which abridges each film in the original trilogy in just 12 words and 12 images. 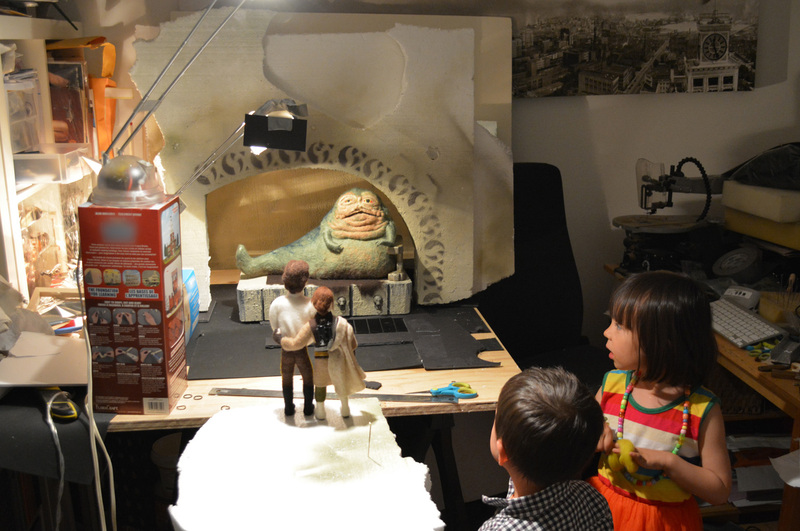 Our unique illustrative process — a combination of needle felting, scale model making, and photography — is labor intensive at the best of times. But accurately recreating a galaxy far, far away for the discerning eye of the Star Wars faithful made our task that much more challenging. 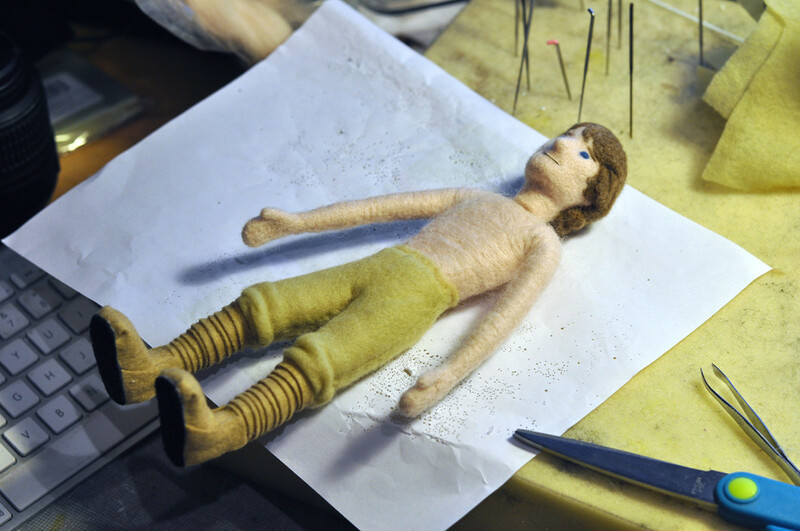 The first step in illustrating the series was creating the needle-felted figures. 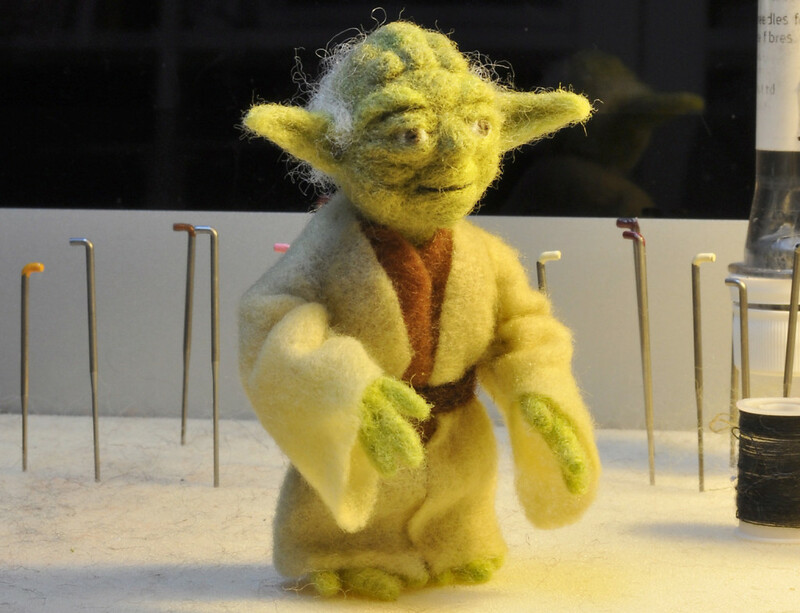 Needle felting is essentially sculpting with wool. Loose wool (or epic yarns, if you will!) is stabbed repeatedly with a barbed needle, which entangles the fibers and makes the wool firm enough to hold shape. 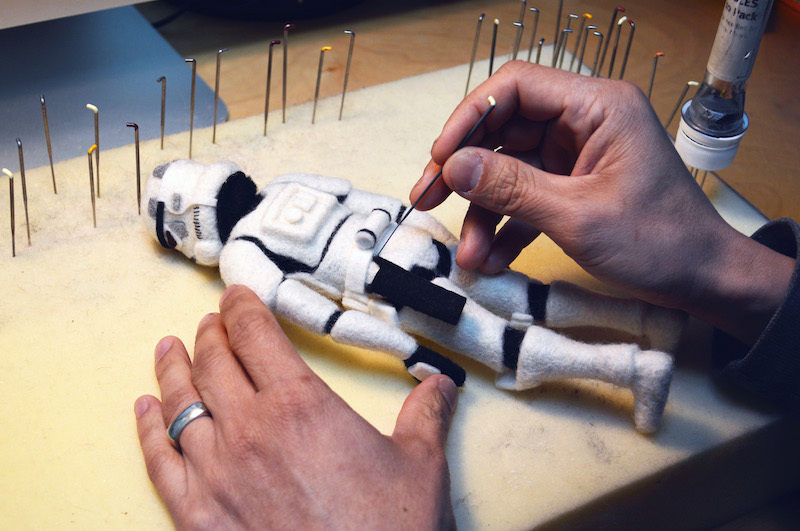 Each figure is felted around an armature of wire, which allows the figures to be posed and re-posed easily. 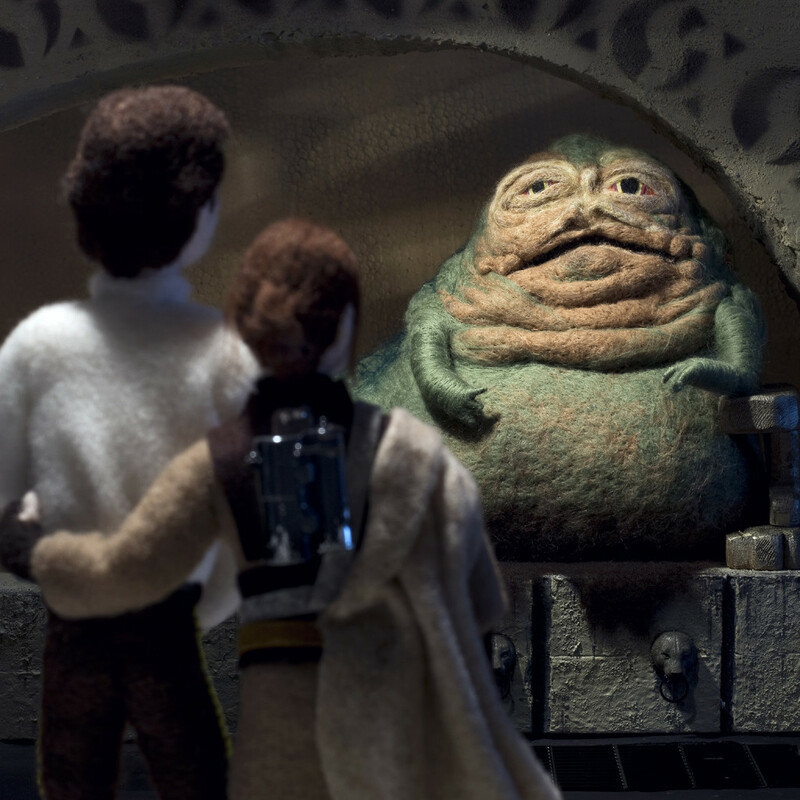 Each Star Wars figure — made at a 1:7 scale — took 20 to 60 hours to complete, depending on size and complexity. C-3PO, Darth Vader and the stormtroopers probably took the longest to make. The first five months of the year-long project were devoted strictly to needle felting figures for all three books in the series. Once most of the figures were made, it was time to begin photography. Our goal when creating illustrations is to do everything “in camera.” In other words, we try as much as possible to avoid computer-generated images. So when you see sky in an image, it’s real sky. When you see mist or haze, it’s dry ice vapors or smoke. And when you see snow, it’s real snow. Which brings us to the very first scene we shot: Luke running away from an AT-AT after crashing his snowspeeder during the Battle of Hoth. 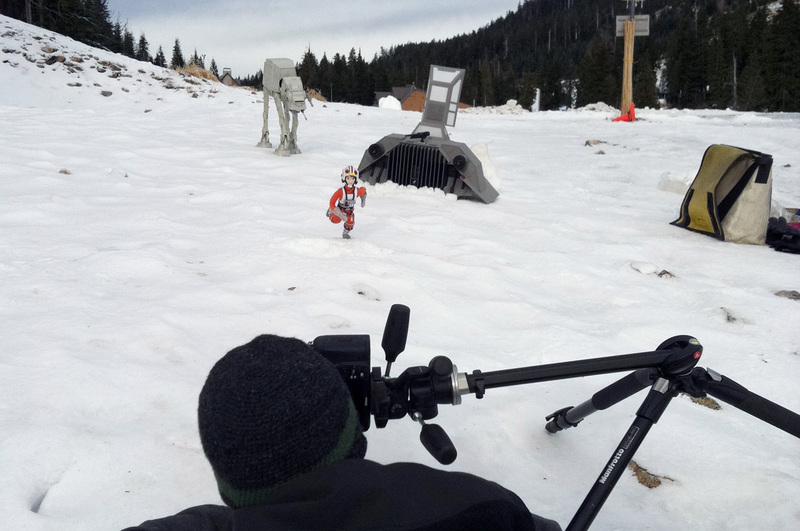 Here we are on snowy Mount Seymour in North Vancouver, Canada, with a needle-felted Luke, a homemade cardboard snow speeder, and an old plastic Kenner AT-AT! The next six or seven months were spent alternating between outdoor location shoots and indoor studio shoots. When a scale-model studio set was required for a shot, it generally took two to four days to build. 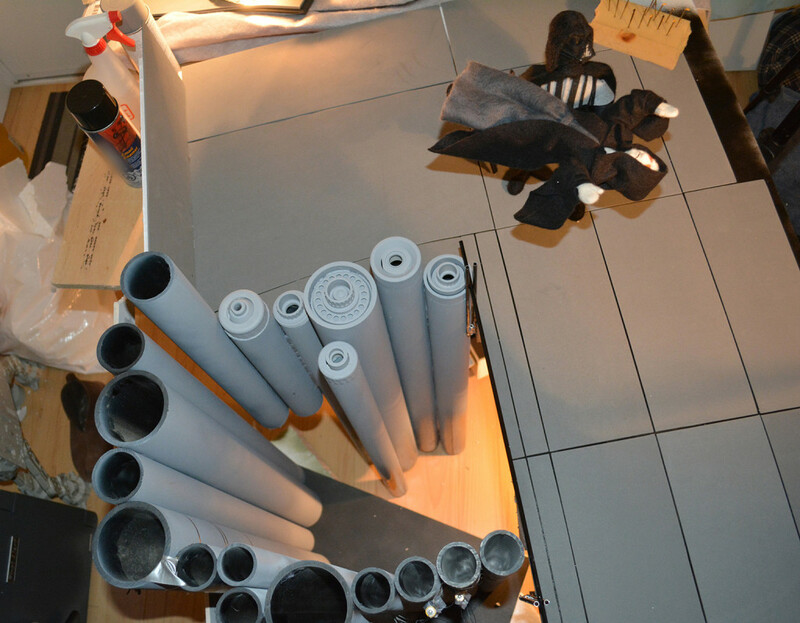 Typical building materials for sets and props included cardboard, pliable foam sheets, Styrofoam, quick set concrete, balsa wood, and lots of random plumbing parts! 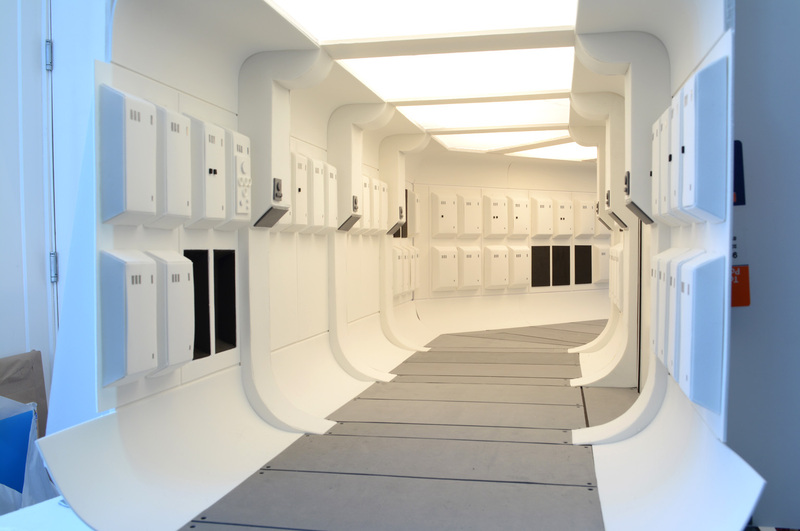 The main hallway of the blockade runner was also tricky to replicate because of the many curved elements. Again, we used pliable foam sheets to achieve the desired effect. The lighting panels were made from sheets of frosted mylar. 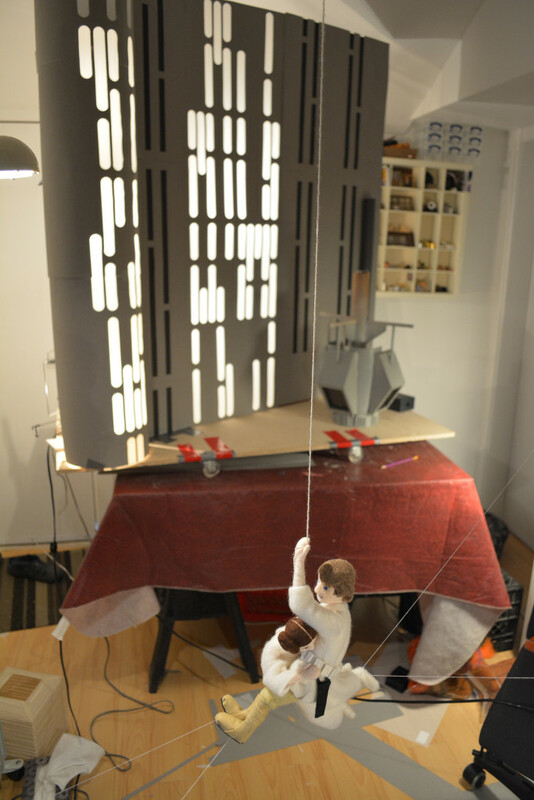 In order to create the feeling of movement for the scene where Luke and Leia swing across the broken Death Star bridge, we placed our paper Death Star wall on a wheeled platform. For the final shoot, the background was moved during a long exposure shot to create the illusion of motion. 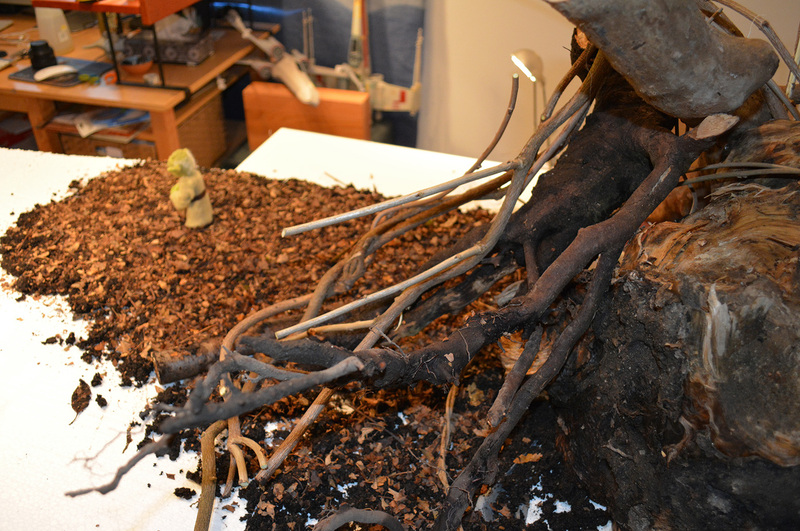 One of the Dagoba sets was created with dirt, tree roots, wisteria vines and dried leaves. However, in order to get the leaves down to the right scale, we needed to chop them up in a blender before sprinkling them around the set. 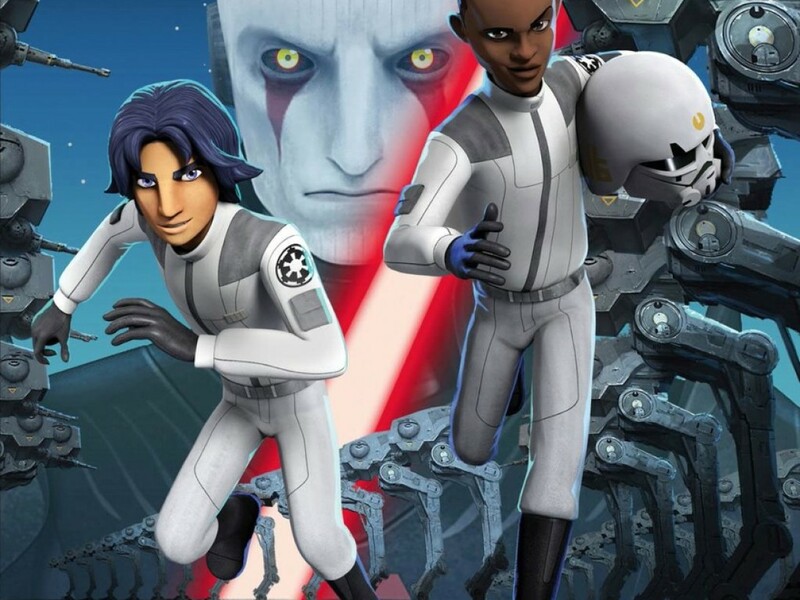 The scene where Darth Vader picks up the Emperor and tosses him to his demise required a deep chasm. This was recreated with a number of spray-painted plumbing pipes. In order to get the Tatooine scenes just right, we decided to head down to California and Arizona to find real desert backdrops. In fact, we made a pilgrimage of sorts to the Imperial Sand Dunes just outside of Yuma, Arizona, where George Lucas and his crew filmed the Great Pit of Carkoon scenes. 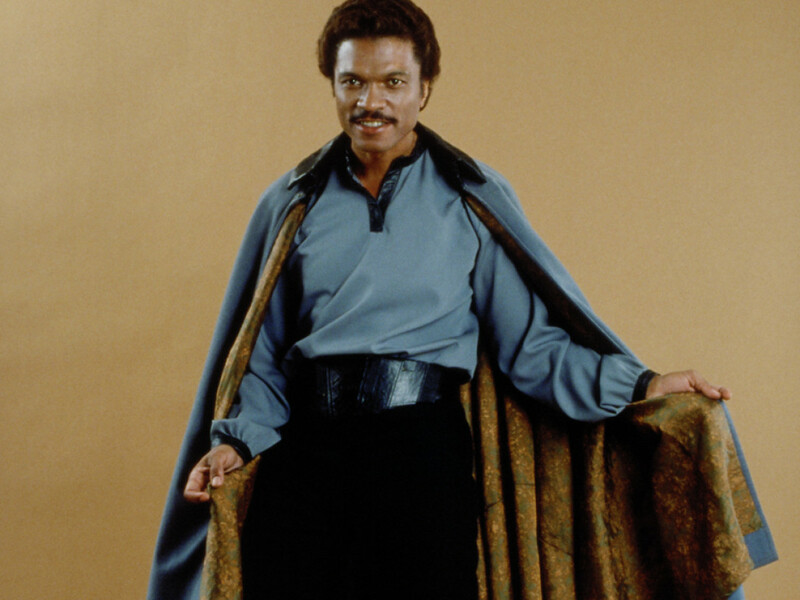 Our version of Luke also rescued Han and Chewie from the Sarlacc, but our felted heroes ultimately couldn’t escape the tremendous desert winds that blew the whole set apart. 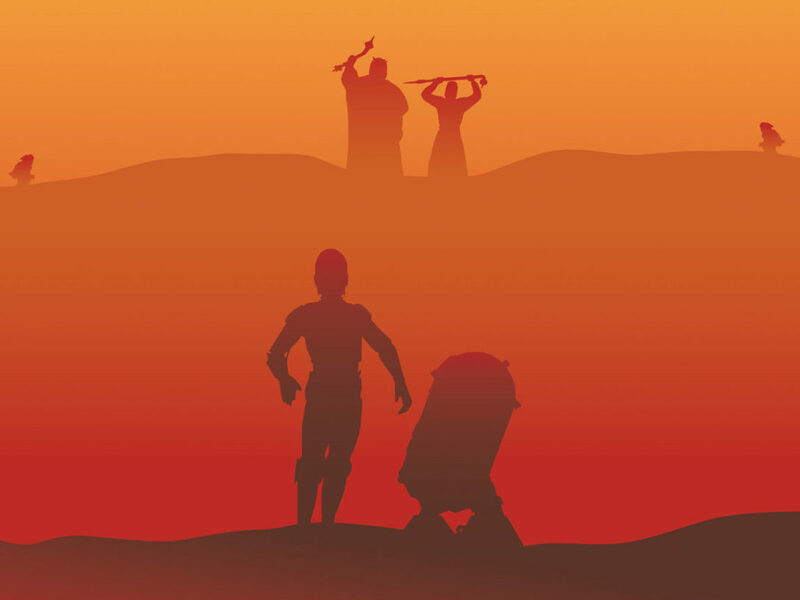 The beautiful cloudless sky captured on the cover of Star Wars Epic Yarns: A New Hope was shot down in sunny Tucson. 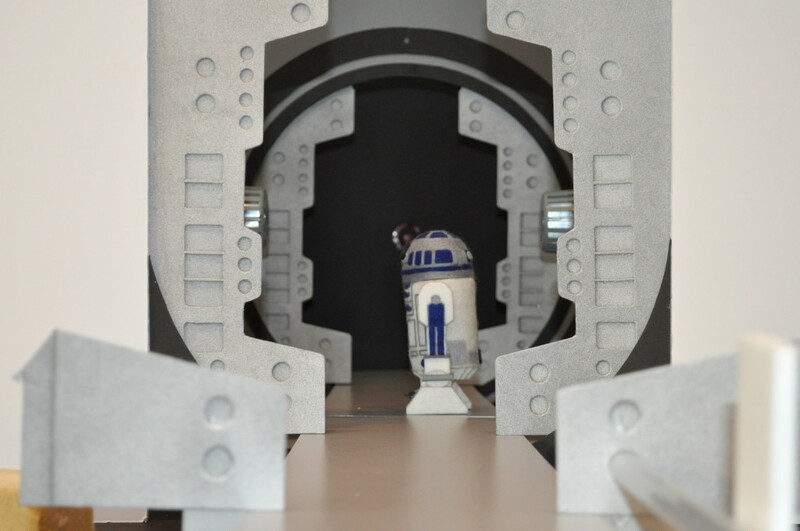 These are just a few examples of the great lengths we went to recapture the magic of the original trilogy in miniature. 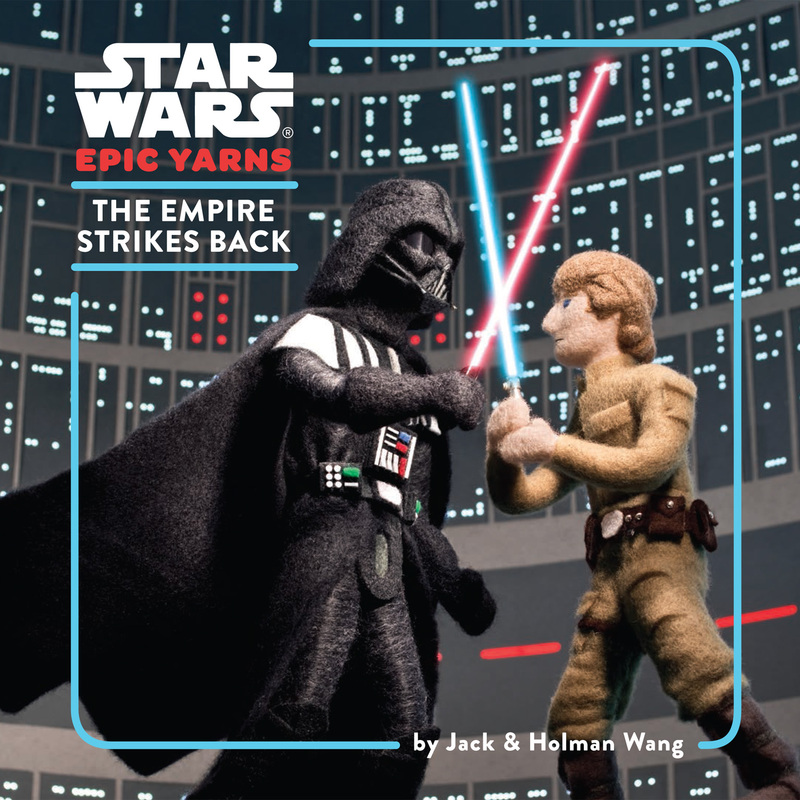 Star Wars Epic Yarns is quite possibly the most labor-intensive board book series in the history of children’s literature! 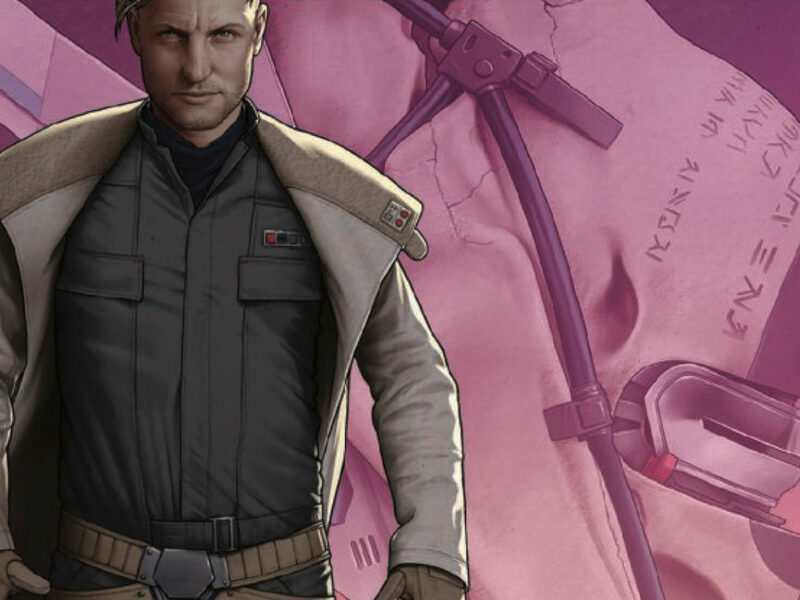 But if readers young and old think it a winning addition to the Star Wars library, then the effort will definitely have been worth it. 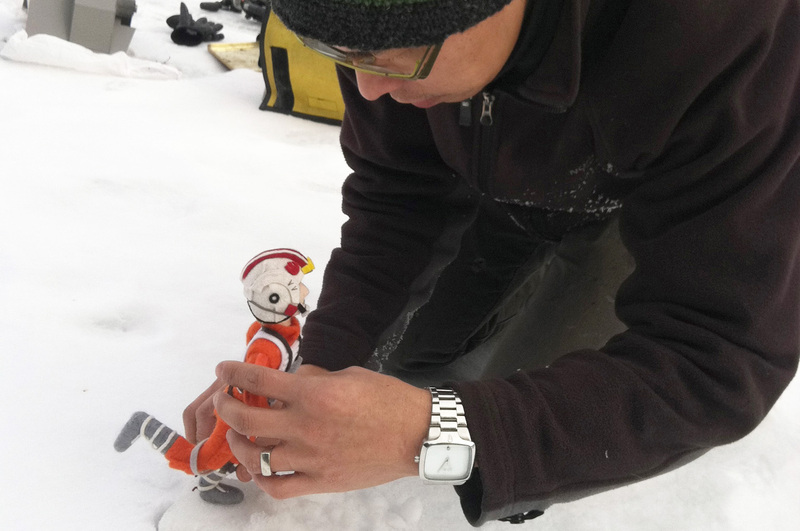 Jack and Holman Wang are twin brothers and the creators of Cozy Classics. Jack is a professor of writing at Ithaca College in Ithaca, New York, and Holman, a former lawyer, is an artist and author who lives in Vancouver, Canada. You can find them online at jackandholman.com or on Twitter at @JackandHolman.